Trump, according to a “campaign source” in a report published February 2 by political news site Axios, requires his male staffers to “dress sharply.” Women, on the other hand? “He likes the women who work for him ‘to dress like women’,” the report says. Unsurprisingly, women of various professions took issue with the alleged dress code and the way it singles out female staffers specifically by their gender. Almost immediately the hashtag#DressLikeaWoman was born, with firefighters, doctors, soldiers, scientists, engineers, etc posting pictures of themselves at work wearing the required, gender neutral uniforms of their jobs. “This is how I rolled in Afghanistan,” said a U.S. Army veteran about a photo in full combat uniform. “Biologists get the best accessories,” said scientist Janet Ng along with a photo of her holding a very un-neat and disorderly snake. Even newly-minted California Senator Kamala Harris joined in tweeting a succession of photos of trailblazing women whose job uniforms failed, including Astronaut Mae Jemison, the first African American woman in space. Here's a look back at the long and complicated history between the two celebrities-turned-politicians. 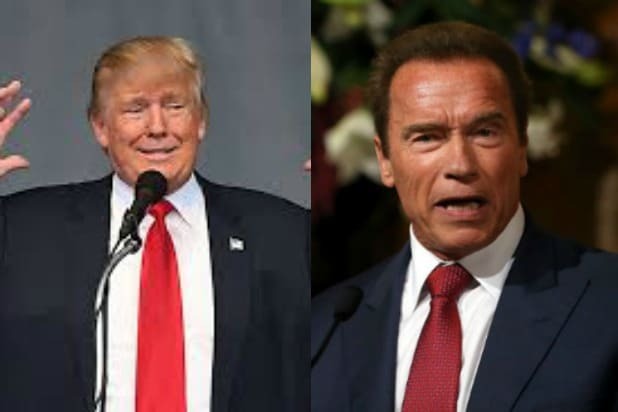 Arnold Schwarzenegger and Donald Trump were buddy-buddy at first, seen joking around at the 2004 Republican National Convention in New York, according to a 2016 Politico article. At Trump's request, Schwarzenegger even moved his entourage from the Mandarin Hotel to one of Trump's hotels, which irked Schwarzenegger's wife, Maria Shriver. Schwarzenegger had a guest appearance on an episode of "The Apprentice: Los Angeles" in 2007, when he was governor of California. He invited contestants into his private conference room in Sacramento. 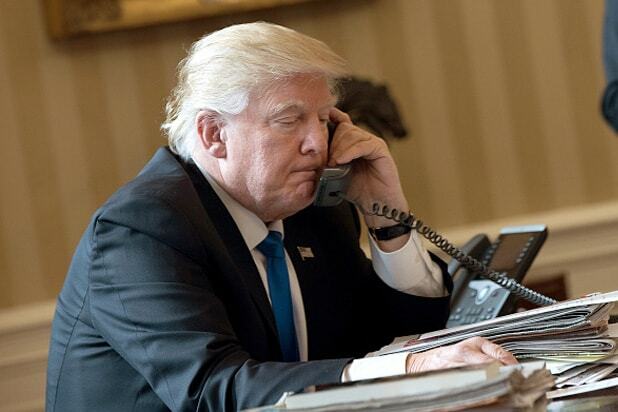 Back then, Trump described the Governator as a "great friend." Apparently he was such a great friend that a month later, Trump donated $10,000 to Schwarzenegger to help pay off debts from his 2006 re-election campaign. The donation got Schwarzenegger in hot water, as political watchdogs saw it as him using his celebrity status to solve his political problems. In September 2015, NBC named Schwarzenegger to take over as host of "Celebrity Apprentice" following Trump's entrance into the the presidential race -- and after the candidate's statements about Mexicans prompted NBC Universal to cut its business ties with real estate mogul. During Trump's presidential campaign, Schwarzenegger would not provide the same support, instead endorsing Ohio Gov. John Kasich in the Republican primary. Even after Trump won the GOP nomination, Schwarzenegger took to social media to he would not vote for Trump...whom he would not refer to by name. "It's not only acceptable to choose your country over your party -- it is your duty," he said. Trump struck back a few weeks before his inauguration in January 2017, mocking the low ratings Schwarzenegger was getting as host of "Celebrity Apprentice" while referring to himself as a "ratings machine." Trump had made similar taunts at Martha Stewart when she hosted her version of the reality show back in 2005. Schwarzenegger responded by wishing Trump luck and saying that he hoped "you'll work for ALL of the American people as aggressively as you worked for your ratings." In February 2017, President Trump mocked Schwarzenegger for his "Celebrity Apprentice" ratings at the ordinarily serious National Prayer Breakfast, calling on the crowd to "pray for Arnold." In response, Schwarzenegger suggested in a Facebook video that he and Trump switch jobs: "You take over TV, because you're such an expert in ratings. And I take over your job. And then people can finally sleep comfortably again." Also Read: Is Trump Exploiting UC Berkeley’s Left-Wing History With New Threat of ‘No Federal Funds’?